I just love this Stampendous stamp called Autumn Words, so I inked it up in festive berries, spiced marmalade, fired brick, and ripe persimmon distress inks, then used 2 of Lawn Fawn's Stitched Leaves to cut out the leaf shapes. I used the same inks to color the leaves before putting them back in their places, and then simply trimmed my panel and applied it to a rust card base. Easy-peasy, but so fun! Hope you have a great week! I'll see on Wednesday for a Simon Says Stamp Wednesday challenge! Hi bloggers - did you miss me? My husband and I have just returned from a trip to Maine. We started at the southern end along the coast and worked our way slowly up the coast to Bar Harbor, visiting some of our favorite places along the way. Thought I'd share a few pictures today of our adventures. Lighthouses - other than lobster, that may be Maine's other claim to fame. Here are a few we visited this time around. Of course, we ate lots of lobster, and scallops, too, and we stayed in some lovely inns at each stop, one of them Pilgrim's Inn, built in 1793! And all along our drive we saw some beautiful scenery. These little boats get the lobstermen out to their boats to check their traps. This was taken in Acadia National Park, near an area called Otter Cliff, one of my favorite places in the world. We had glorious, sunny, cool weather, as we always do in September. And just before we arrived, they actually saw the Northern Lights in Acadia! And there were patches of beautiful fall color starting to appear here and there, especially as we got further north. Needless to say, we are refreshed and ready to get back to normal. Now to get my mojo in gear again........see you soon! It's the end of the month, and that means it's an Anything Goes challenge at the Simon Says Stamp Wednesday Challenge Blog! This week the Design Team are playing with one of my favorite companies, Hero Arts! We'd love to see you using their products on your creations this week, too, but it's not a necessity to enter our challenge. My first card uses this beautiful Sunshine Daisies set. I used distress inks (ripe persimmon, worn lipstick, spiced marmalade and peeled paint) to ink my stamp, then spritzed it with water and stamped on watercolor paper. After stamping my flowers, I smooshed some inks on an acrylic block, mixed them with water, then picked them up with a paint brush and splattered them across my panel. The sentiment is also from the set, and I added a few sequins and a twine bow. My second card uses a mix of lots of Hero Art wood blocks, a cling, and some clears. to the amazing Simon Says Stamp store for the random winner of this challenge! Hi, friends, happy Wednesday! 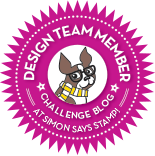 It's time for another weekly challenge at our Simon Says Stamp Wednesday Challenge Blog! Our theme this week is TAG IT!! 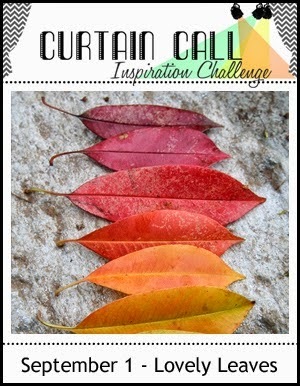 It's a favorite of mine, because I love to see the creative ideas that end up on all your tags! 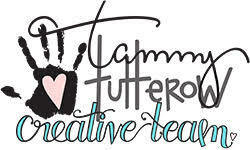 The design team are all using Tim Holtz products this week, and if you have any of his products, please show them off to us, but it's not a requirement to enter; just make some kind of a tag, or add a tag to your project. When I turn the calendar over to September, I go into instant fall mode, so I wanted to make a tag that had an autumnal feel to it. And the sentiment really sums up how I feel about this season! I started with a piece of kraft cardstock and made it into a tag shape. Next I chose a musical paper from Tim's Menagerie paper stash, and trimmed it to fit just inside my tag. Then I stencilled his Gothic Layering Stencil across the panel, using ripe persimmon, rusty hinge, and spiced marmalade distress inks. I also used the ripe persimmon to dye some of his crinkle ribbon, and I added one of his little paper clips to hold my sentiment to my tag. Other supplies: Perched Reed Bird die, Simon's Small Forest Tree, both cut from Tim Holtz kraft core, a Unity sentiment, Lawn Fawn copper leaf sequins, and some gold dotted washi tape. to the fabulous Simon Says Stamp store for the random winner of our challenge! 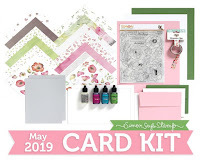 This month's Card Kit from Simon Says Stamp is really fun, especially for those of us who are coffee drinkers! It is loaded with some little extras, like a little coffe mug die, some coffee-colored sequins, and a full-sized pad of their Khaki ink! Here are 2 cards I made, using the supplies in the kit. I used that coffee mug die and lots of the patterned papers in the kit to make some shelves with hanging mugs. And I paper-pieced the large mug stamp and used a couple more of those papers on my second card. If you're a coffee lover, this kit has your name all over it! Don't wait too long to order it! The challenge this time at the Avery Elle challenge blog is Clean and Simple. I thought this would be the perfect time to play with this adorable little fawn from the Storybook set. So I made a simple little scene using him and a bird from the same set. I had originally planned a 1-layer card, but I think I like it better with them popped up. I sponged around them with distress inks and a finger dauber, stamped my sentiment, using Laurels and Simply Said Hello, and then added some sequins from Pretty Pink Posh's springtime mix. I think this set is about the cutest thing I've seen in a long time! Happy Wednesday and welcome to another challenge at the Simon Says Stamp Wednesday Challenge! 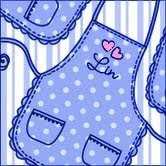 This week we're asking you to make your own background.....use stencils, splatters, gelli plates, you get the picture. The design team are all using Gelatos this week. And if you have them, we'd love to see you using them, too, but you don't have to in order to enter our challenge. I had a fun play this week and made 2 cards for the challenge. For this first one, I started with Simon's Woodgrain cardstock and used the emboss resist technique to show off my Gelatos. supplies: Woodgrain cardstock, Hero Arts Bold Blossoms and Made With Love sets, Watermelon and a yellow Gelato, Studio Calico wood veneer bird, painted white, pink and white sequins. After stamping and heat embossing the sentiment and flowers in white embossing powder, I scribbled over the surface in my 2 Gelato colors, and then smoothed and blended them out with a damp paper towel. For my 2nd card I chose some blues and a chartreuse green Gelatos, and scribbled across a panel of white cardstock, then spritzed them with water and blended them with my finger. After my panel was dry I embossed the beautiful floral design, and then added my sentiment, a butterfly, and some clear irridescent sequins for a little sparkle. Now it's your turn! As always, we have a $50.00 gift voucher to the super Simon Says Stamp Store for a random winner of our challenge! The new challenge for September at A2Z Scrapbooking is called Autumn and Christmas, and we can choose which season to make a card for. I used Hero Arts Simple Leaf Background, along with some fussy cut oak leaves from their Season of Giving Set, which I'm thrilled to see that they're bringing back around again in their newest holiday catalog! 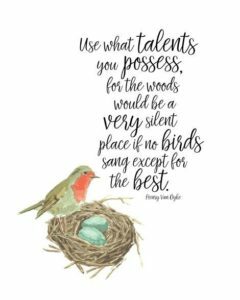 Other supplies: ripe persimmon distress ink for background stamping, a mix of autumnal distress inks for inking the oak leaves, Spellbinders Labels Eight and Floral Ovals dies, acorns from Clearly Besotted's Autumn Flowers set, and the sentiment from a retired The Craft's Meow set. And here's a second one, a CASE of Kelly's card. She used a branch from the Dauber Bunch set and built her own fall tree - genius! I would never have thought to do this on my own, but I love how fun it was - I had to try it, too. This was not intended, but don't you think that the feathers look like Indian corn? The challenge runs from now until 9:00 AM Eastern time Thursday, Sept. 18. The RANDOM winner will be announced that same day at 10:00 AM! That person will receive all of the new inks that were just released for STAMPtember!! I stamped one of the flowers 3 times, and inked one in lemon, one in lime, and one in lemon-lime! I made the leaves grey, to pull out some of the greys I can see in the inspiration photo. I paired it with a sentiment from Avery Elle's Oh Happy Day set, and some sequins, and did a very thin lemon and lime frame around my stamped panel. and we're to either add flowers and make it a summer card or make a Christmas card. I chose the latter and did my literal thing. It was fun to try and make this design, and I think the colors are pretty right on! The challenge this time at Curtain Call is one that I can't pass up. I was so happy to be able to use this retired The Craft's Meow stamp set called Golden Days on my card, stamping the leaves in various shades of distress inks. 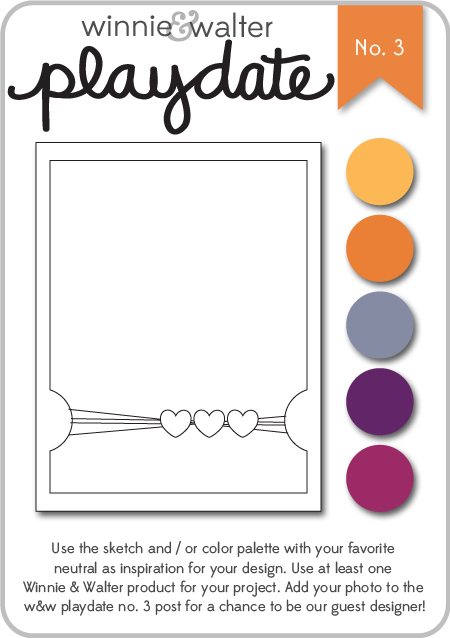 The board paper brings in the grey from the inspiration photo, and is from Dear Lizzy's Polka Dot party. I scattered a few sequins, mostly Lawn Fawn ones, near the sentiment. I'll also enter this into the SCS Autumn Leaves challenge HERE. Doodling a stencil ......... and some breaking news! 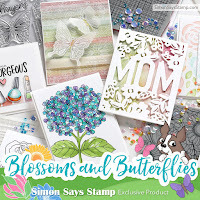 If you're here to see my cards from the Simon Says Stamp Wednesday challenge Blog Hop, please scroll down 1 post or click HERE. Thanks! The stencils are called Delphinium and Stems, and they're both mini stencils. Since they're so little, I tried using markers to transfer the colors, and they worked great. I used Shaded Lilac and Mowed Lawn distres markers, plus a Memento marker called Lulu Lavender. I trimmed my panel and added some blocks of solid cardstock in the same colors, and a sentiment from Simon's Happy Every Day set, embossed in white on black cardstock. My husband was passing by, and suggested that I try doodling on it, and I'm glad he did - the results are subtle, but I do like it better this way, since the rest of my card is so simple. I added some leaves and made little individual flowers on each stem, just like the real thing, and also added a white center to each with a Signo white pen. 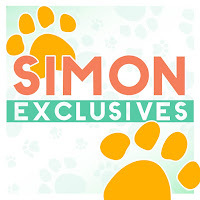 ETA: Did you see the news at the Simon Says Stamp blog today? None other than Tim Holtz has designed a stamp set in honor of their STAMPtember celebration!! The bad news is that it's a limited edition, only available during September, while supplies last. Come October 1, it's gone! Be sure to watch Tim's fun video at the link above at Simon Says Stamp to get a good look at it and some ideas on how it can be used. I wouldn't wait too long on this one - it is SWEET! 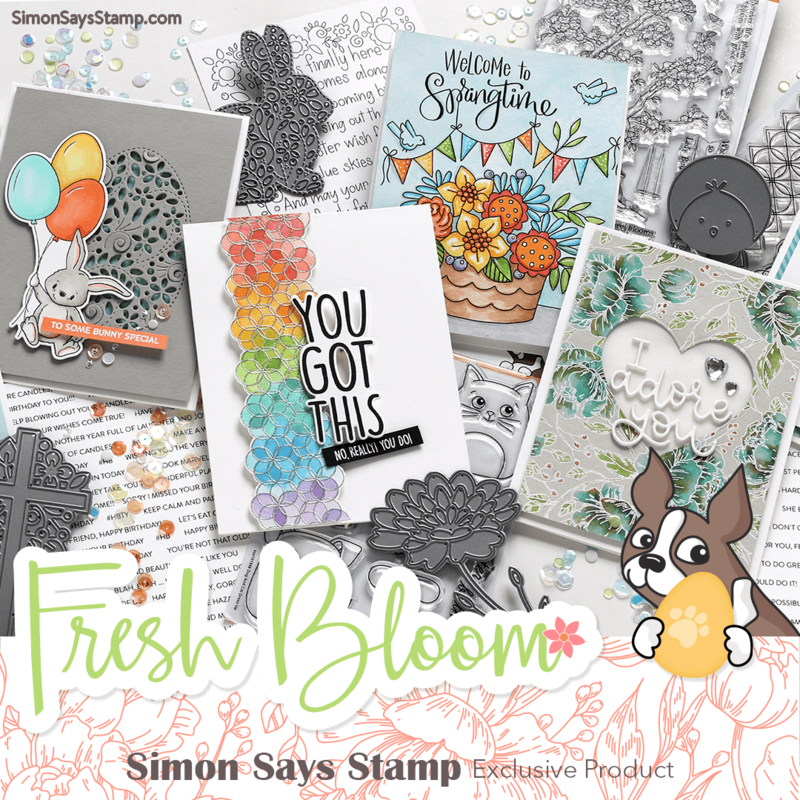 Here we are at the first Wednesday of the month and we have a very special challenge for you at the Simon Says Stamp Wednesday challenge blog! TODAY is Heidi's birthday!! Heidi is the owner of Simon Says Stamp. We'd love you to join us and wish Heidi a very Happy Birthday! and we are showcasing the new STAMPtember® products that have just been released! 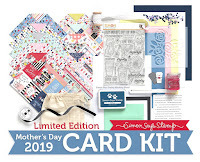 CLICK HERE to see them all - it's a HUGE release with loads of fabulous stamps, dies, stencils, and much more!! You just need to use a good old fashioned stamp, no digitals this time, please, AND hop around to all the designer's blogs, leaving comments along the way. You should have arrived here from JO's blog; if not, then click HERE to go to the start of the hop at the Simon Says Stamp Store Blog. This uses just a few stamps from the new Trick or Treat set. I used markers to color the cat, then fussy-cut it out and added it to my scalloped panel, on which I had already stamped the cute stitched sentiment cloud. I paired this up with a panel of Doodlebug patterned paper. My next card uses some small elements from the new Presents and Ornaments set, and so I made my card a bit smaller, 4 1/4" square. And one more, showing you a new Inside Holiday Greetings sentiment and the new Dots and Lines stencil. I stamped the sentiment on a Spellbinder's Floral Oval diecut in Simon's Lipstick Red ink, and popped it over the stencilled panel, along with a lovely hand-made poinsettia that was a gift to me years ago. to the amazing Simon Says Stamp Store!! 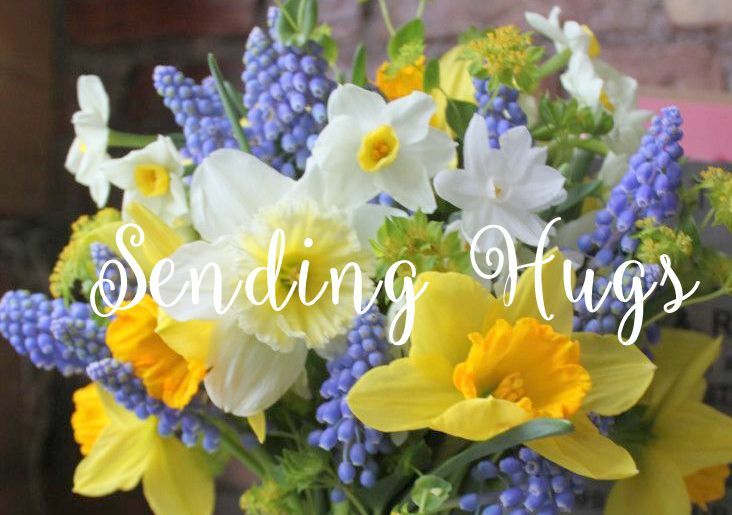 Now, hop on over to Lorraine's blog for your next stop! ETA: I'm adding the 2 Christmas cards to the link party at Paper Crafts & Scrapbooking, in celebration of their newest Holiday Cards & More publication. for the sketch at Winnie & Walter's Play Date #3. Guest Designing at Virginia's View! !